Canary-creeper (Tropaeolum peregrinum): growing, planting, caring. Tropaeolum peregrinum - the canary creeper - is a species of Tropaeolum native to western South America. It is a climbing plant growing up to 2.5 m high by scrambling over other plants. 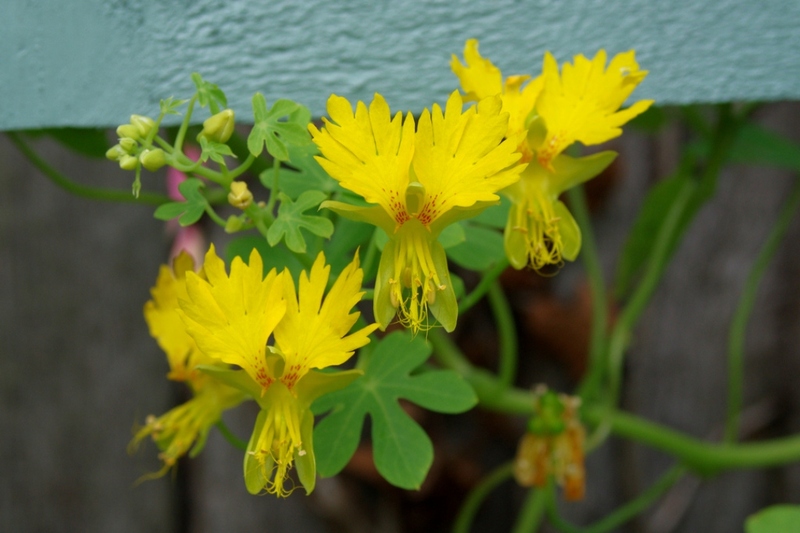 The leaves are 2–5 cm in diameter, palmately lobed, the flowers are 2–4 cm wide with five frilled bright pale yellow petals - canary-coloured, hence the English name - often with red spots at the base of the petals. 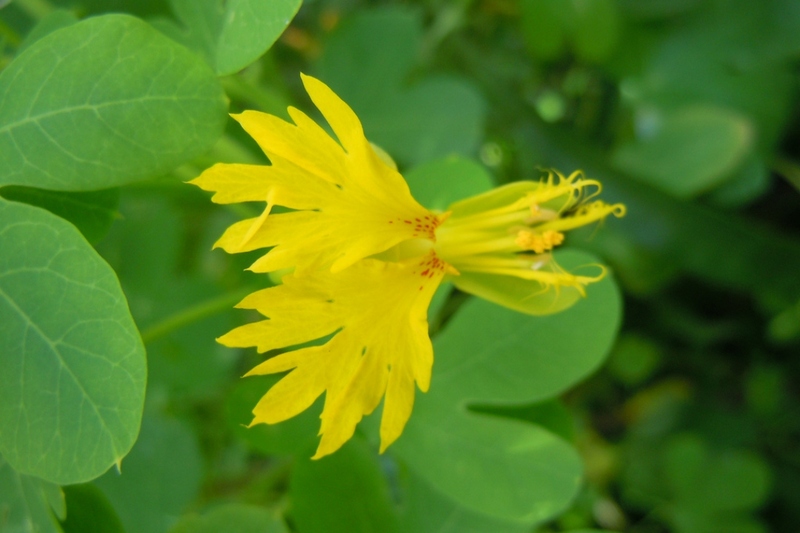 It is widely grown as an ornamental plant in many parts of the world. If you have planted seedlings, watch for emergence, which should take one to two weeks, and keep only the strongest shoot.